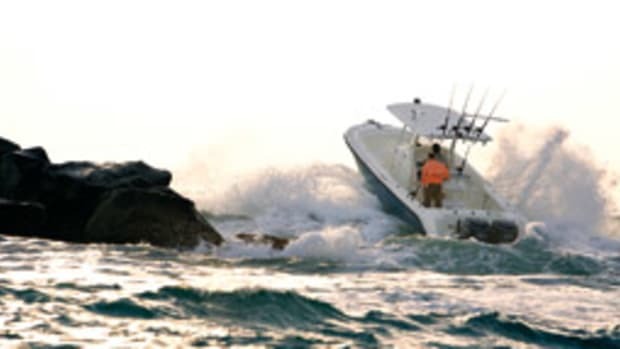 Center-console boats are most appealing, especially when the overall length reaches 30 feet and beyond. Well-designed models are generally lightweight, economical to operate and need a modest amount of horsepower to make them fast enough to satisfy all but speed-crazed owners. For the most part, these boats have been dedicated to fishing, leaning heavily on utility and sparingly on comfort. 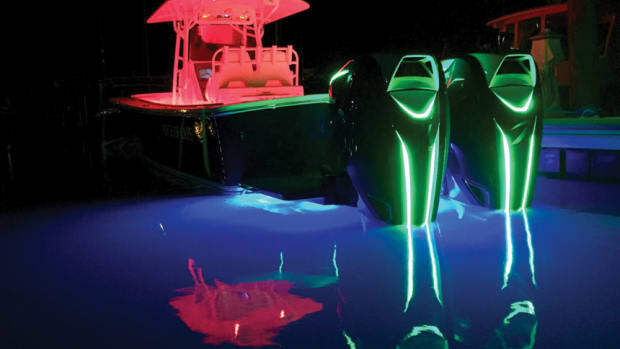 Many of the latest center consoles have become remarkably luxurious — the crossover SUVs of the marine world. Unlike bulky road vehicles, though, center consoles display a skeletal, businesslike elegance that visually transcends their utility. The F28 is a fine example. 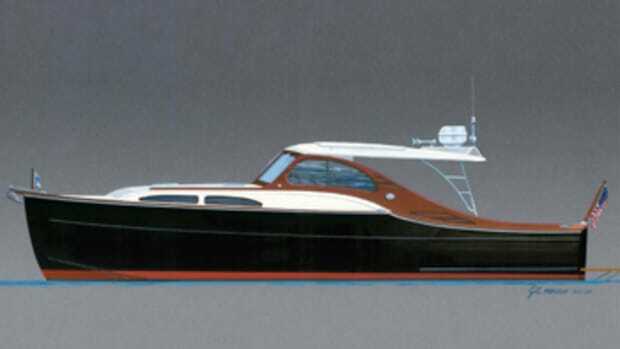 Mark Fitzgerald drew the first version of the F28 a few years ago. 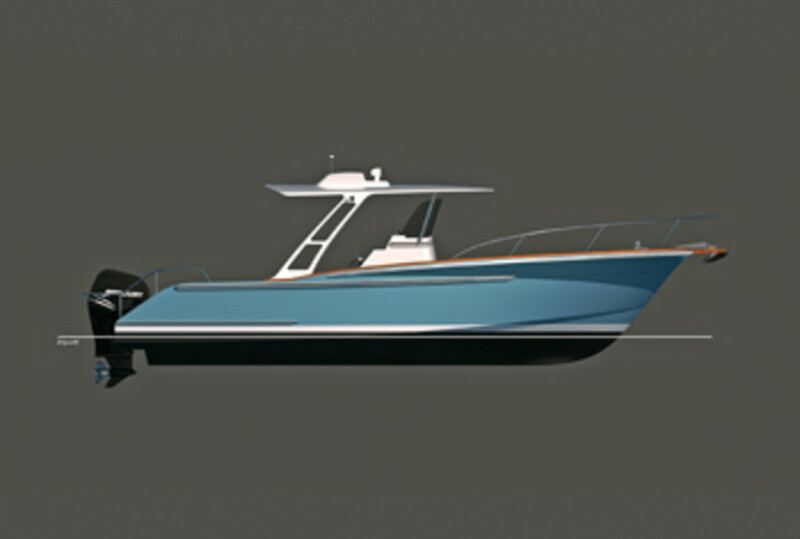 He enlisted Wyatt Huggins, former chief designer at Fexas Yacht Design, to develop the high-speed and efficient hull form. Hak Soo Ha, at the time lead designer for Ford Motor Co., worked on the ergonomics and fabrication details. Fitzgerald’s goal was to raise the center console’s level of comfort and make it an agreeable partner for point-to-point coastal cruising and island destinations. Someone else saw the logic in this approach. 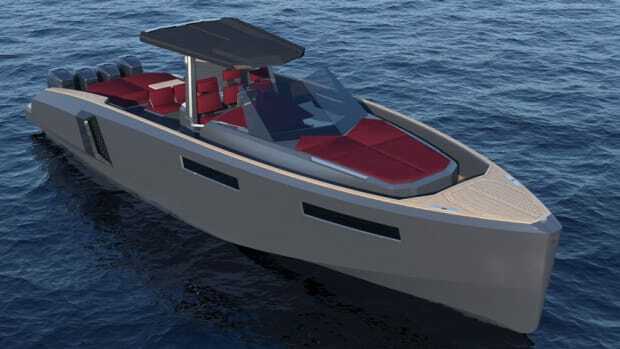 Although a 28-foot center console doesn’t fit many boaters’ notion of the ideal cruiser, everyone likely will agree that Fitzgerald and his team have produced an uncommonly attractive boat. Her broken sheerline and gently curved bow, which recall those of Carolina sportfishing boats, add a generous dose of grace to the profile. Try to picture her with a straight sheer, and you’ll see how much his treatment contributes to the F28’s good looks. 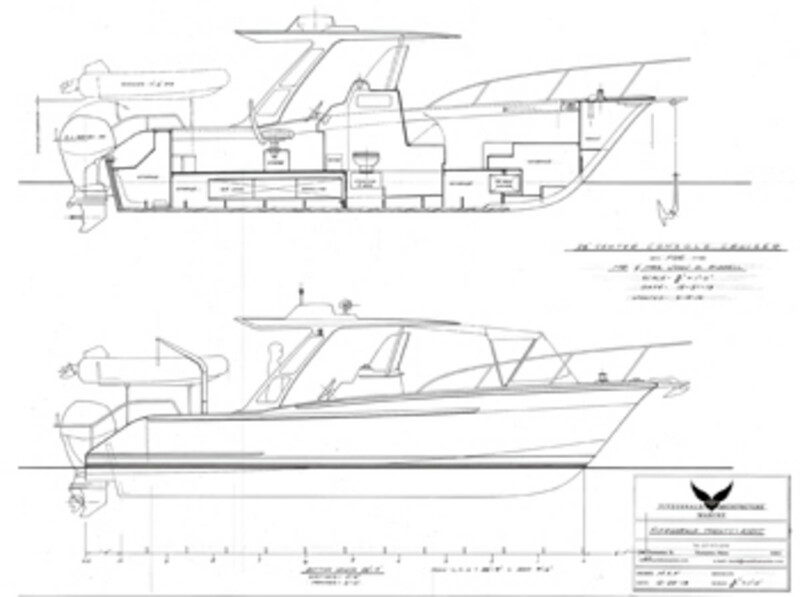 Her aggressive stance comes from the forward thrust of the major design elements — the transom, stem, hardtop supports, the helm side of the console and the rail surrounding the foredeck. Note, too, how the leading edge of the rubrails adds its two cents’ worth to the illusion of forward movement. Bulk is the enemy of good design, but in some areas it serves a purpose. 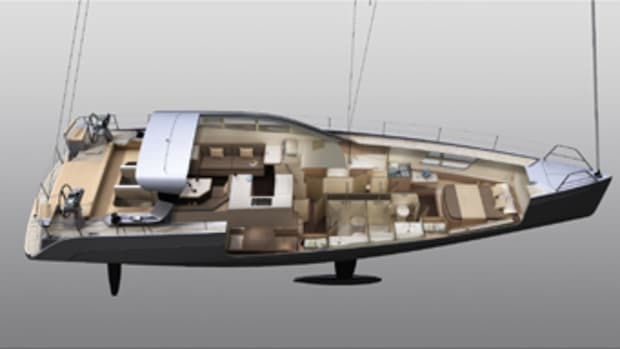 Freeboard in the forward sections is substantial, but it increases the hull’s buoyancy in the bow, which keeps the F28 from burying in head seas, and it suppresses spray. The sliver of a hardtop and its spidery supports make the structure appear to be floating while reducing windage and weight high in the boat. She’s an elegant little camp-cruiser, made more livable by a head inside the console and flats in the bow for sleeping under a soft shelter. Add a camp stove and icebox, and she’s ready for the Great Loop.